If you are fascinating towards iOS application, then you don’t have iPhone or iPad. Dear guys don’t worry for this. In this article, I am going to provide enough information about iOS emulators for PC. The interested candidates have to go through this article completely only then you will come to know about the best iOS emulators. With this knowledge, the PC users can choose the best emulators and access iOS app in your PC or Laptop without struggling much. Like Android, iOS are also having millions of excellent apps in app store. At the end of this context, The PC users can access and enjoy with those apps as I am assuring you. Before getting into the iOS emulators, first I want to explain the need of the emulator. 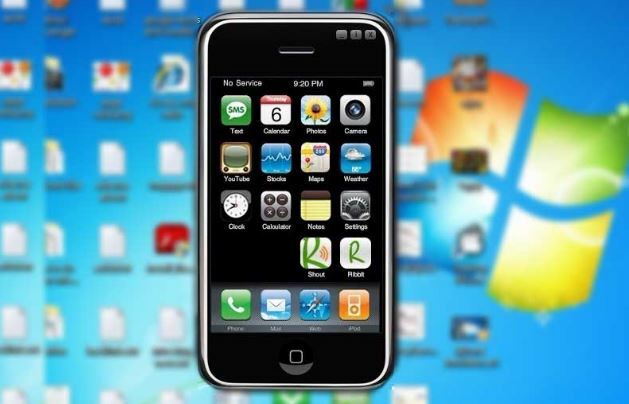 The emulator is a software program which is used to run the iOS applications on PCs. In other words, emulators help to access the applications on other operating systems. The emulator is cloud based software which is used by the professional app developers to test the same application on other platforms like Mac, Windows, iOS, etc. The iPadian is the top iOS emulators of all. The Graphical User Interface of the iPadian is more or less similar to iPad. When you use the iPadian in your PC, then you will feel get the feel of using iPad on your PC. With the support of this iPadian, you can access and download your favorite iOS apps in app store. This excellent iOS emulator is readily available in online. The PC users can use the free version or paid version of iPadian. This emulator has the user-friendly interface so that you can navigate through the app store easily. The paid version is only $10, and it supports for Windows, Mac, and Linux. The App.Io is one of the fantastic iOS emulators. The first thing is you need to sync your iOS app pack with the App.Io emulators. After that, you can access any iOS applications with the help of this emulator quickly. What’s more, the App.Io can be used in many cloud storage devices such as Mac, Tablet, Windows PC, Android mobiles, etc. If you use this emulator on your PC, you will get the great feel of using Apple devices as I am assuring you. The business people can include their potential customers in this app instantly. It is also compatible with Chrome, and Linux. The SmartFace software helps you to emulate iOS apps for free of cost. This emulator is primarily designed for testing the iOS applications in different operating systems. The PC users can access the iOS applications in their device using the SmartFace without any issues. Furthermore, this emulator also allows you to develop iOS apps for Windows. The Appetize.Io is the best alternative to App.Io emulator. This emulator allows the app developer to develop the iOS and Android apps on the cloud storage devices such as the tablet, Windows PC, etc.